Think about it. Art Therapy. What comes to mind? For many people, images of old or sick people in the “community room” coloring on pieces of construction paper depicting child-like scenes akin to Sally Field’s portrayal of a woman with multiple personality disorder in the movie Sybil. Her Psychiatrist, Dr. Wilber, played by Joanne Woodward looking on and piecing together her trauma based on certain characteristics of the drawing. Art therapist and Illuminations Program Manager, Megan Carleton, knows the look. She admits that there are sometimes that she enters a patient’s room or the clinic and approaches them with ideas of “creating something”, and is met with an ambiguous look. 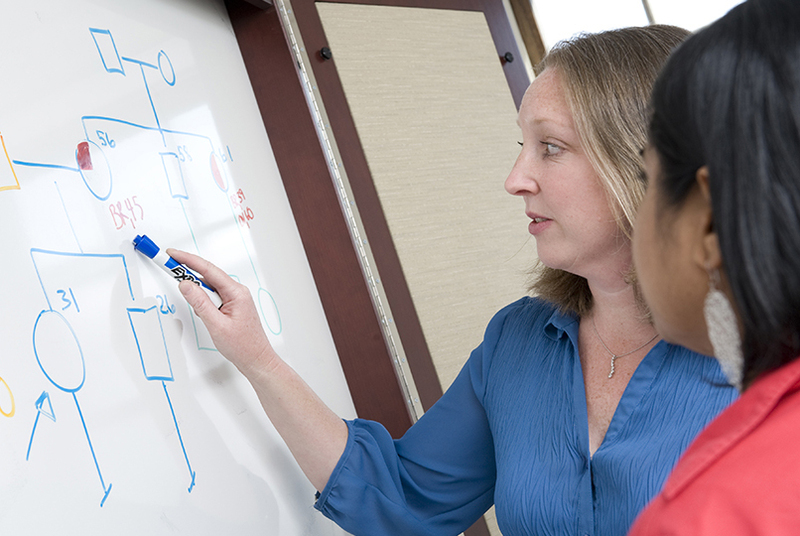 Ms. Carleton has an inviting smile, a relaxed and accepting attitude, and a sense of humor. 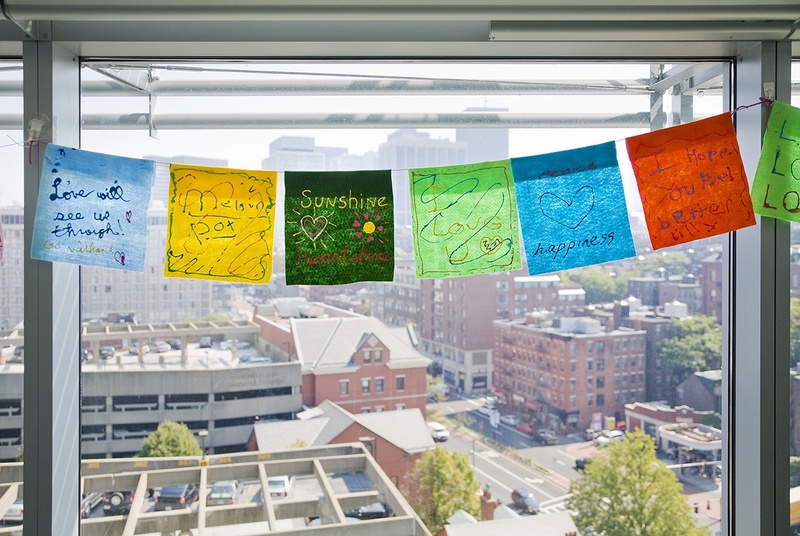 She travels from one place to another within the Massachusetts General Hospital Cancer Center offering opportunities for creativity during out-patient treatments or at the bedside. People don’t necessarily know what to expect when they sign up to meet with her, but in time, they soften into the expressive art form. She rarely asks people to draw a picture, unless they want to. Ms. Carleton is far more about having the patient create something, anything for self-expression, or to externalize an experience or emotional need. 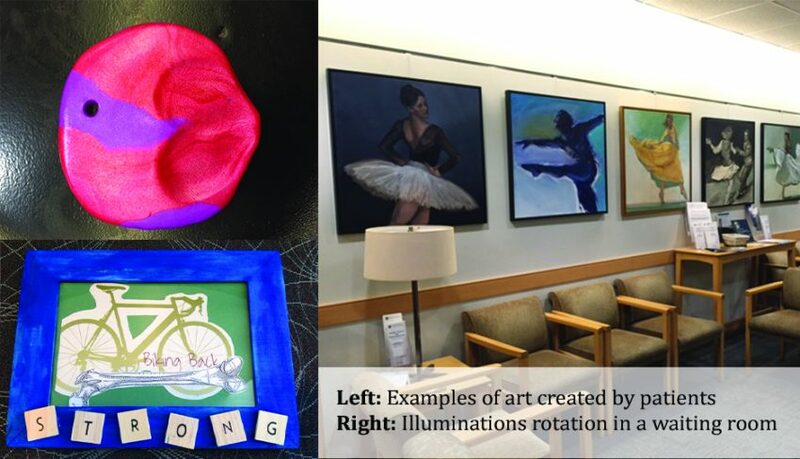 These expressions of creativity can support a sense of connection, a person’s sense of self, or solidify a memory- all important things in a cancer center setting. “Sometimes it is just a thumbprint in clay,” she said, gesturing exactly how the patient might place their thumb. “Other times, patient want to make a video for their families, or photographic montage”. The reality is that anything expressive is healing. “Certainly it’s not just a visual experience — it’s an emotional one,” said the late neurologist and writer Oliver Sacks. Art therapy is a form of expressive therapy that uses art materials, such as paints, drawing, clay, collage and even digital media such as photography and tablet technology. Art therapy combines traditional psychotherapeutic theories and techniques with psychological, interpersonal and somatic aspects of the creative process and self-expression. In mental health, art therapy is used in many clinical settings with diverse populations including children, adults, and families. 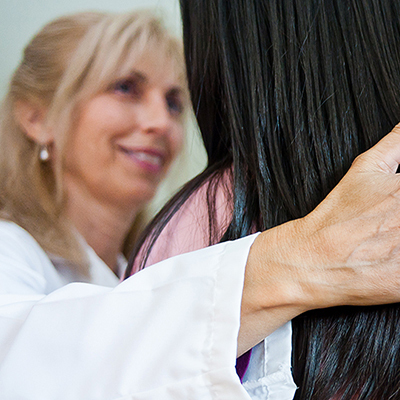 As a part of integrative health care, art therapy and expressive arts therapy (art, music, drama, movement, and writing) complement and support traditional and complementary health practices and interventions. In addition to providing art therapy services in the Cancer Center, Carleton manages the Illuminations Program- a rotating exhibit that brings high-caliber works of art in various mediums to the Cancer Center waiting rooms. Celebrating its fifteenth year, the Illuminations art exhibit rotates every four months. The work is selected by a committee comprised of current and former patients, doctors, nurses, community members and art lovers reviews and to be placed throughout the waiting areas. To mark the installation of a new group of works, a small opening reception is held, where the artists, staff, patients, and members of the public can come to take in the work. 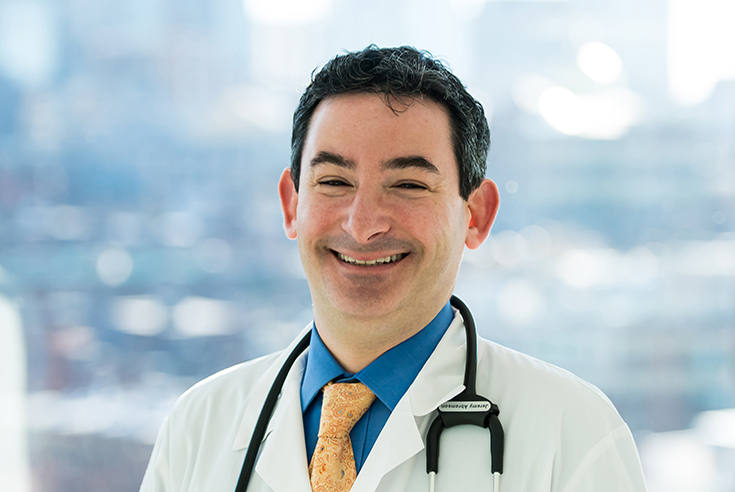 Mass General offers elements of healing to the world-class cancer care it offers by giving a space for artists and patients—which can be one in the same—to empower and be empowered. And although it’s supplemental to the medical treatments patients can find within the walls of the Yawkey Center, the testaments of these artists, patients and community members speak to precisely why art and healing should always go hand in hand.